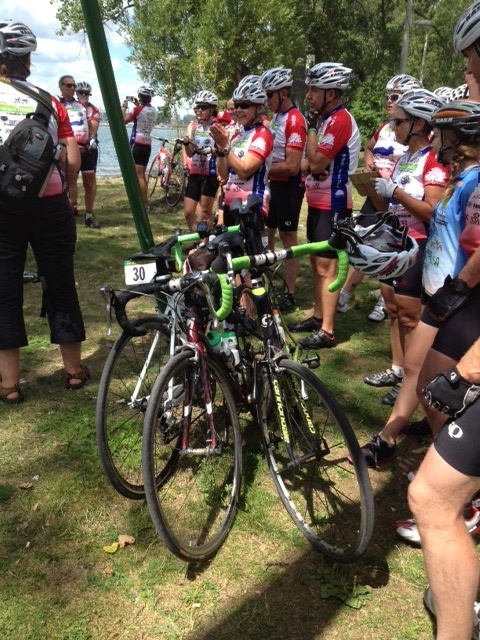 Forest tree dedication which was on the last leg of the Tour des Trees was held on Ward’s Island, a part of Toronto Island Saturday. And I was so lucky to be able to stay with a wonderful woman on this terrific carless island. There were walkers and bikers everywhere. Susie would have loved it there. 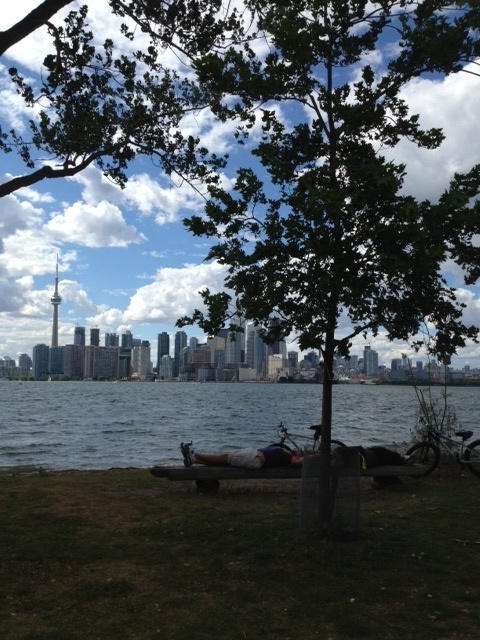 With lots of arborists on bicycles and Ward’s Island neighbors we dedicated a silver maple. 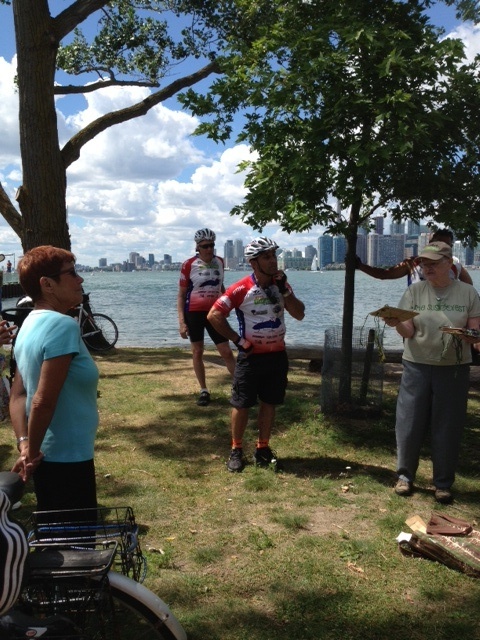 I was introduced as Susie’s mom who was dedicating a tree to her, but I thought it should be a “yay, we made it” dedication for the cyclists and a celebration of the start of the second hundred years of the Ward’s Island Association. This tree has an awesome view of the Toronto skyline and I hope that someday I will be back to see how it’s grown and share its view again. Thanks to Warren Hozelton, the manager of the parks on Toronto Island who came up to me last year in Portland and invited me to come to another Tour des Trees and found me a wonderful hostess and a wonderful home to stay in here on the island. I want to keep coming to these tours as long as they will have me.